Your credit score or rating determines how well you have been at handling your finances, in regards to paying your bills on time, loans, payments, etc. However, every now and then we may slip and forget a payment or pay it late. In other cases, you may encounter an error on your credit report; this can cause several problems for you and may result in being denied for loans, mortgages, and others. Fortunately, credit repair services are provided by certain companies and can be an excellent solution to credit errors. It is important to understand just when such a service will work. Below are some examples. Unverified credit report errors – The information provided on your credit report must be accurate and verified. This means that if the credit bureaus were to contact the appropriate person regarding the information, and they can’t confirm it, it may be a legitimate error. Hiring credit repair services will ensure any and all unverified errors are removed. Removing legitimate credit errors – Like most errors, they need to be corrected. While some are quite serious, some can be less serious such as incorrect personal information, lending information, and more. Hiring the appropriate services can ensure that any errors that appear on the credit report are handled and corrected in the proper fashion. Lenders who work with credit repairing agencies – Depending on your credit situation, the credit repairing company can contact the lender and negotiate on your behalf. While some lenders don’t like to work with these companies, some are willing to do so. They do what it takes to remove any errors, even if it means directly contacting the lender. Credit repair services allow you to fix those credit errors that are too big to fix for you, they use techniques and strategies that only they can implement. 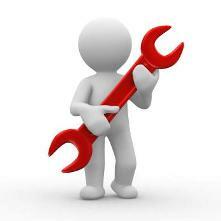 This ensures that you receive the best chance of repairing your credit. Often these small credit errors can have drastic effects on being approved for loans and mortgages. Whether you’re looking taking out a loan for a property deposit, don’t take the risk and get your credit errors removed before applying for one.